Yesterday marked the annual BI Fine Wines’ 10 years on tasting, this year focusing on the iconic Bordeaux 2009s. 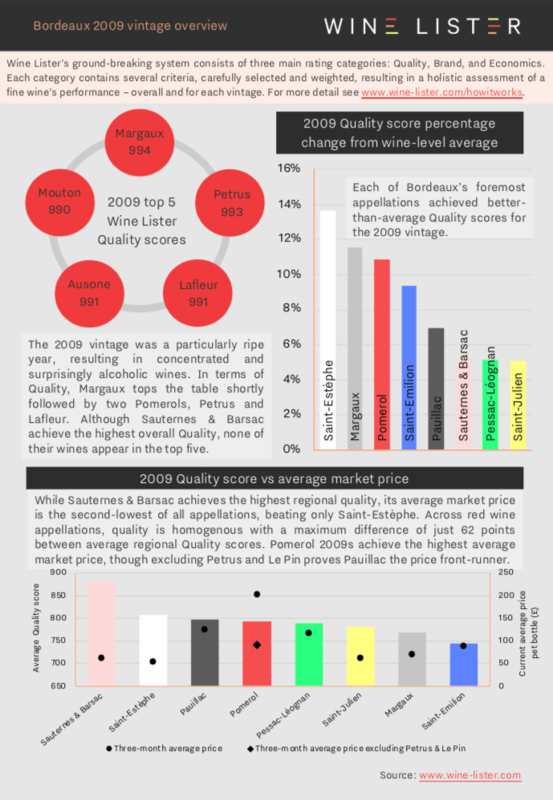 Below we explore what light Wine Lister data has to shed on the 2009 vintage including quality, price performance, and best wines for good value. 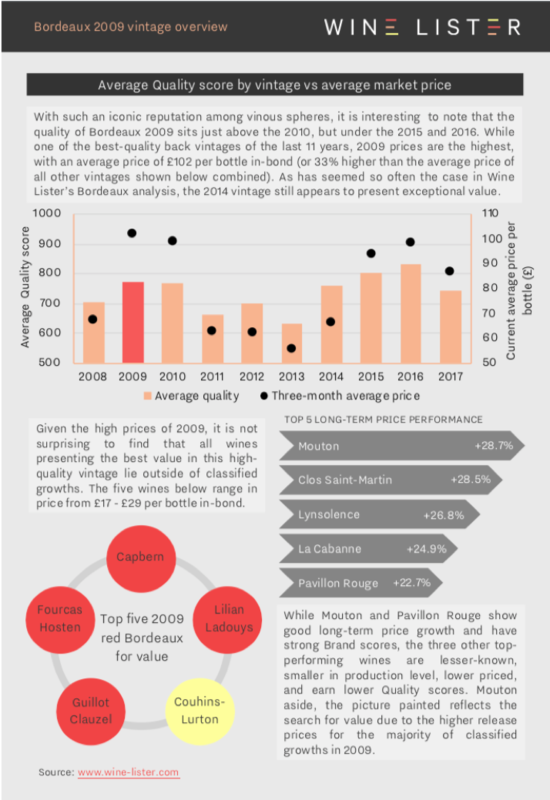 Wine Lister’s holistic and dynamic approach allows us to not only see which appellations produced the vintage’s best wines, but also demonstrates if and how the market has since reacted to their relative quality. Featured wines: Margaux, Petrus, Lafleur, Ausone, Mouton, Capbern, Lilian Ladouys, Couhins-Lurton, Fourcas Hosten, Guillot Clauzel, Clos Saint-Martin, Lynsolence, La Cabanne, and Pavillon Rouge.